« Project Paddington shows that we care. And that matters. This is the gist of an address given at a Remembrance service at Forest School on the Sunday after more that 120 people were killed in Paris by ISIS terrorists. How should we respond in the face of Evil? To answer that question, I would like to offer the examples of a member of staff here at Forest who was awarded the Victoria Cross and of a nurse who was executed by firing squad. I might just include Martin Luther King and Doctor Who as well. The first of those, Benjamin Geary, we can learn about from Forest School’s superb on-line database of school magazines. He was a teacher in what was then called the junior school, and the School Magazine of Christmas 1914 shows most importantly that he was a regular in the Old Foresters cricket team, but also mentions that in September he and two colleagues had left to serve their King and Country. The magazine makes light of this with a dreadful pun about him eating cold chicken in ‘fowl’ weather, and looks forward to him being ‘back with us next year’. The tone a year later, in the Christmas 1915 edition was only slightly less up-beat. 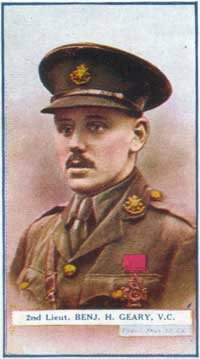 It offers ‘our heartiest congratulations to Lieutenant Geary on his being awarded the Victoria Cross for gallantry during the battle for ‘Hill 60’ near Ypres’, and gives an account of his conspicuous bravery and determination in the face of the enemy. His Corps Commander, addressing the Battalion the next day said ‘it was the most magnificent thing yet in the whole war’. Those words that will have disturbing echoes for anyone familiar with Blackadder goes forth or Oh what a lovely war. Of course, at that point, only a year into the conflict, they could not have known of the horrors that were to come – of the Battle of the Somme, in which the British Army suffered 57,000 casualties on the first day alone (more than a million men were to die in that battle) or of Passchendaele, where 400,000 further died. Three years later, in the Christmas 1918 edition, the school magazine would record that 98 former pupils of Forest School had died in the Forces – and that from a school which, at any one time, only had about 100 on its roll. We can only imagine what Benjamin Geary saw or went through in the latter stages of the war. We do know that when it was all over he went to train for the priesthood and later returned to the Army as a Chaplain, bringing comfort to the soldiers and officers who might have to fight again. Was this, perhaps, a response to the evil and suffering he had seen? 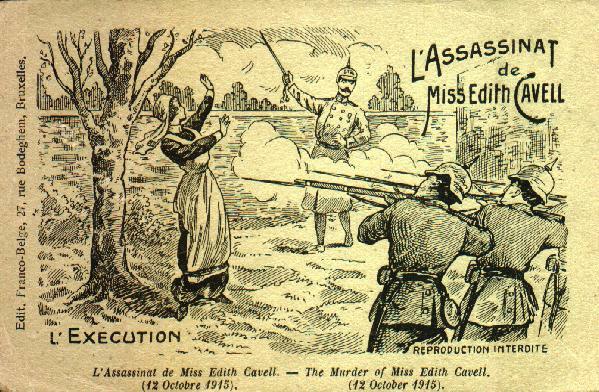 1915 also saw the execution by firing squad of Edith Cavell by the German occupying forces in Belgium. Her response to the evil and suffering she observed was to care for the injured, regardless of which side they’d been fighting for. She was arrested for helping wounded Allied soldiers and sentenced to death. Both Geary and Cavell had seen what we are seeing now in Syria and Iraq – that war is rarely glorious and that most of the time the wrong people are its victims. If you watched last week’s ‘Dr Who’ you will have heard him say “When we fire that first shot, no matter how right you feel, you have no idea who’s going to die. So what is our response in the face of Evil? 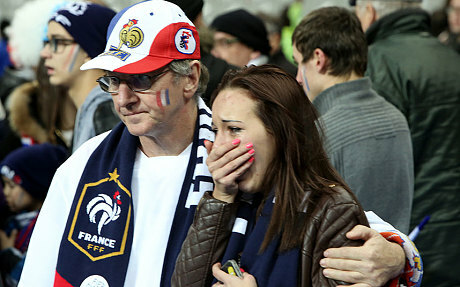 How are we to react to the events in Paris? To the killing of more than 120 innocent people by young men representing a perverse distortion of Islam? Martin Luther King, who paid with his own life for opposing evil, said this: “Darkness cannot drive out darkness; only light can do that. Hate cannot drive out hate; only love can do that.” I think those words are in tune with both Benjamin Geary – the VC hero who became a chaplain – and Edith Cavell – the nurse who was determined not to have hatred or bitterness towards anyone. They’re also in tune with the members of our armed forces who risked their lives this year in the battle against the spread of the Ebola virus in West Africa. There are thousands of people who owe their lives to British Army engineers, medics and squaddies who built and ran field hospitals to combat a disease that was decimating the population. The people of West Africa will remember that when Boko Haram is long gone. This entry was posted on November 15, 2015 at 2:28 pm and is filed under Uncategorized. You can subscribe via RSS 2.0 feed to this post's comments. You can comment below, or link to this permanent URL from your own site. Let us stand up to the tyranny and proclaim that we fear nothing. They have crossed over the line of reason, and going forward, we stand as One.